Owning a home, much less building your own home, can be a daunting and expensive decision for anyone. People usually plan and save for years before going on such a complicated venture. Well, that is certainly not the case for one amazing and gifted 13-year-old! Luke Thill made the unimaginable possible by building his own tiny house, completely by himself. What were you building when you were 13 years old? 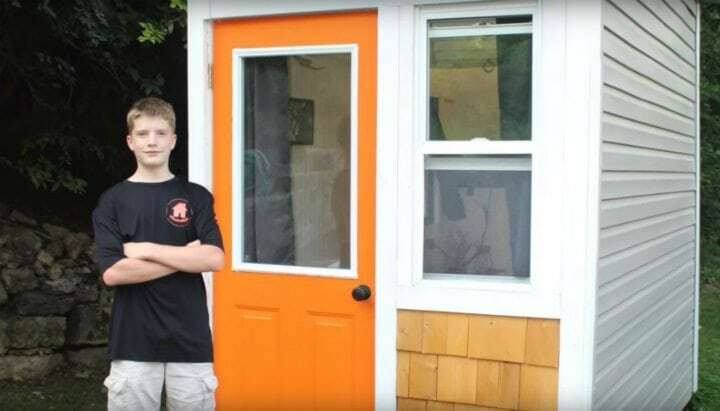 Read on to find how just how this talented young craftsman built his tiny home, why, and what his next project is going to be. Trust us, you won’t be disappointed! When you’re in school summer is the best time of the year. 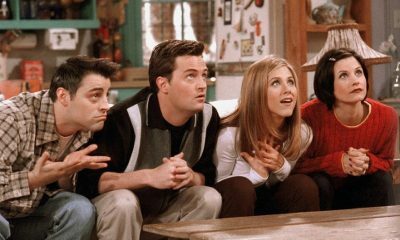 You get to kick back, relax and play with your friends. Well, for Luke Thill of Dubuque, Iowa, he was starting to lose interest. Bored with having nothing to do. According to Luke, he “wanted something to do during the summer” and took to the internet to look up fun things he could do over the break. Being a young energetic boy he wanted something to do outside and searched YouTube for interesting DIY projects. While perusing the video-sharing site he came across multiple “Tiny House” instructional YouTube videos. For those unfamiliar with the term, “Tiny House” is a movement that advocates living more simply in small houses. The homes, even though tiny, can support all the needs of a regular sized house. 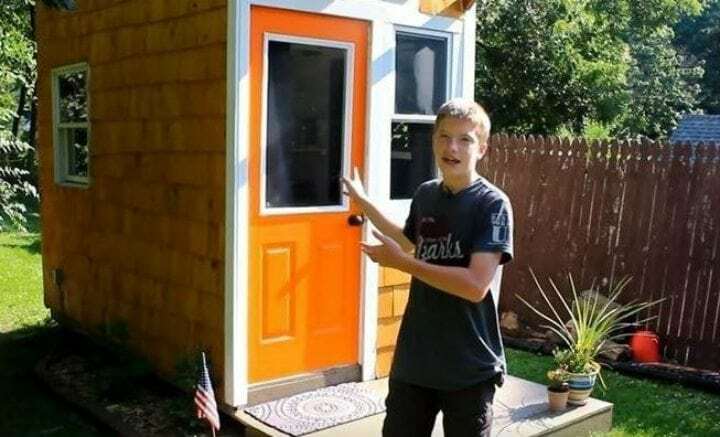 When Luke Thill was only twelve years old he decided that he too wanted to build his own tiny house in his family’s backyard with the help of the DIY videos. But Luke isn’t just an average kid. When he sets out to do something, he gets it done with amazing results! 3. Can He Build It? Taking on a project like building your own house is no easy task, no matter how small that house might be. 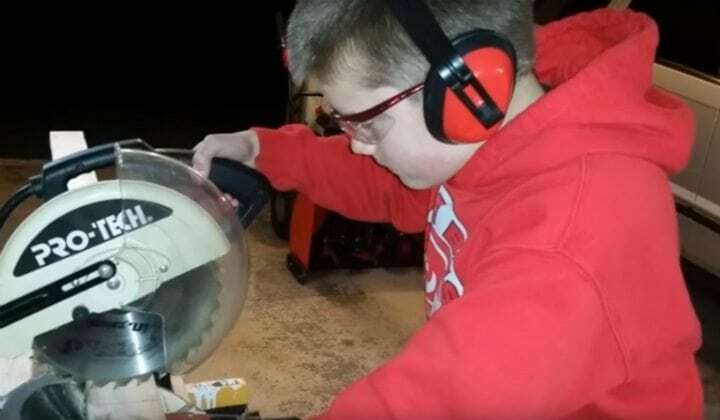 Knowing that he would need a number of different resources to get the project going, he did what most kids never do, he asked his parents. Luke’s parents were very supportive of the idea and thought it was a great way to get him out of the house during the summer and get some good old-fashioned exercise. As opposed to many kids who spend their summers on the couch watching TV or playing video games. But his parents didn’t just outright give what he needed, he was going to have to work for it. Word of his ambitious project soon spread throughout the neighborhood and everyone was impressed with Luke’s decision. In order to start saving up money for the project, he did odd jobs around the neighborhood. There was nothing he wouldn’t do to make his dream become a reality. Luke mowed lawns, cleaned out garages and any other chore that he could find. Apart from money though, he also wanted to keep to the true spirit of the tiny house movement and use as many recycled or reclaimed items as he could find. 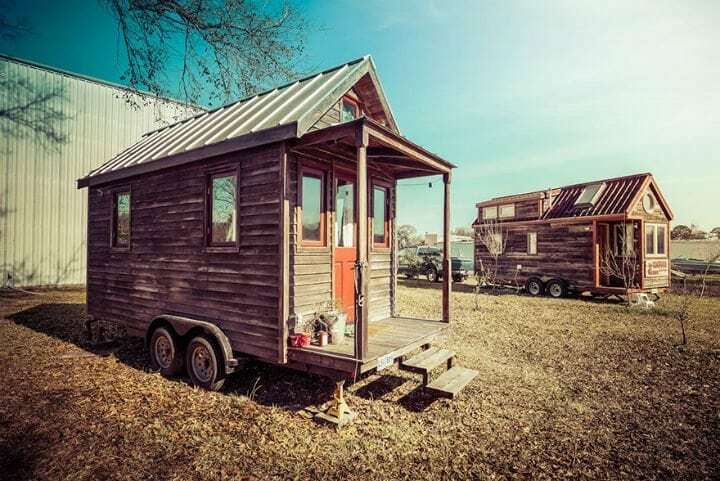 Tiny house philosophy not only advocates simple living and small houses, it also promotes using recycled and reappropriated items to build the house. People collect an enormous amount of junk which generally piles up in their garages and sheds, only to later be thrown out in the trash. Well, Luke Thill was cleaning out those garages anyways and found loads of materials he could use. A family friend even had an old front door laying around that they were more than happy to part with. One man’s trash is another man’s treasure after all. Apart from offering his services for money, he also worked in exchange for assistance in his project. There is only so much you can learn from a DIY video after all. And there are certain things, like wiring a house for electricity, for example, that call for an expert. There is a reason for the phrase “don’t try this at home,” that’s because if you don’t know what you’re doing, you will get hurt. 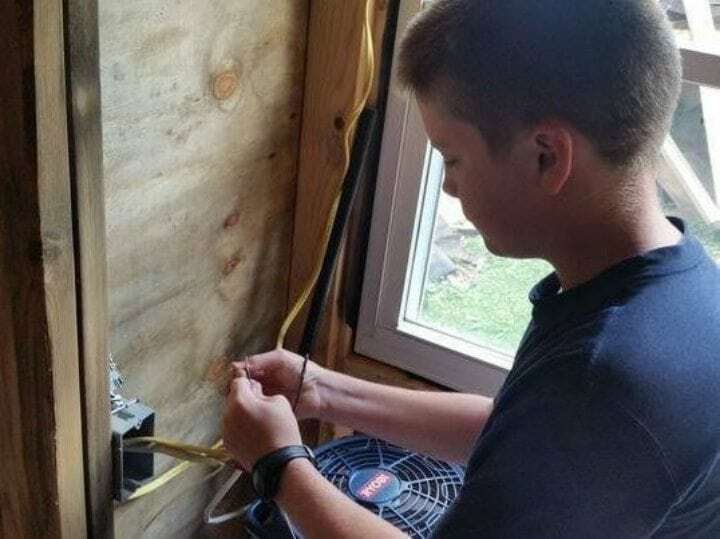 One of Luke’s neighbors agreed to help him wire the tiny house for electricity in exchange for cleaning out his garage. Word of Luke’s tiny house project spread like wildfire and pretty soon he was being asked for updates on the progress daily. While he was thrilled people were excited, he also didn’t want to answer the same question multiple times a day. The solution? YouTube! 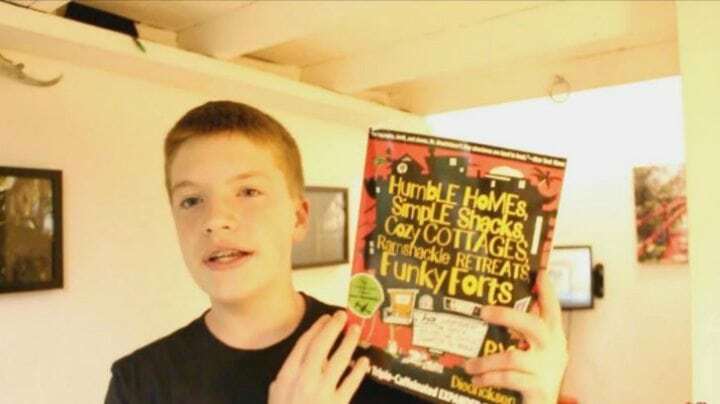 He was already there watching videos to help him build the impressive little house, so he started his own channel to keep people updated and record the building process. Pretty soon he gained quite the online following! One fateful day when Luke was in school he was called into the principal’s office. Such an event can be stressful for anyone! Not knowing whether he was in trouble, he headed down to see the principal. But turned out that he wasn’t in trouble at all. Luke’s YouTube exposure and word of mouth caught the attention of the local media, and a reporter wanted to interview Luke about his project for an article. He was getting famous! That same reporter was actually good friends with his school’s principal. But what about the house? Luke Thill had gathered enough materials to start the actual building process. 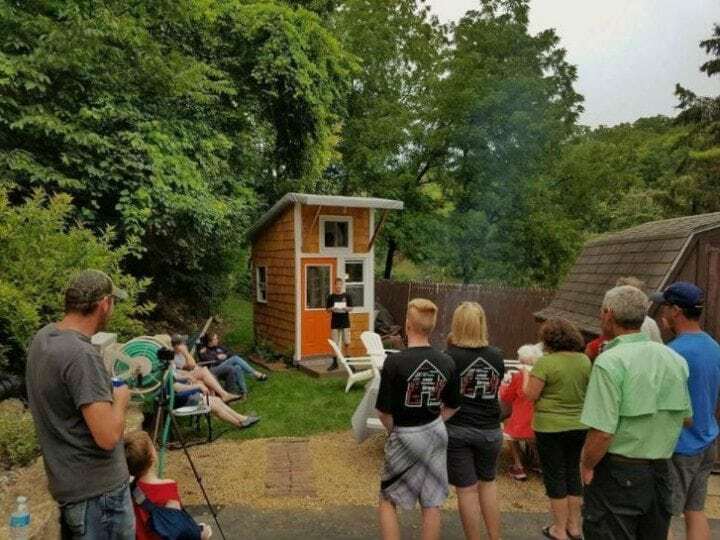 Through all of his odd jobs around the neighborhood and some savings, he pulled together a total of $1,500 for his tiny house project. For someone so young that is pretty impressive. Luke was hyped up by all the buzz and media attention and ready to get down to business. He had the materials and had done extensive research. That doesn’t mean that the project went off without a few hiccups though. Luke decided to get creative with his DIY skills and set out to create a beautiful countertop using broken pieces of stained glass and glaze. He watched the YouTube video on how the process worked and felt fairly confident that he would be able to create a cheap and interesting countertop. Sadly the experiment ended in disaster. After arranging the shards of colored glass in the positions he wanted he added the glaze. But the liquid ended up leaking through the mold he used. Let’s just say that it was quite the mess to clean up. It didn’t discourage Luke from finishing his project, however. Luke’s tiny house became so popular and was reported across the country. So much so that a representative from TinyFest Midwest contacted him. TinyFest is a festival that celebrates and promotes tiny houses. He was asked to give a speech at the event! The timing couldn’t have been better. Luke had just recently earned his Boy Scout merit badge for public speaking. What a great opportunity to put that skill to use. Luke is even featured on the TinyFest website as a speaker. But how did his project turn out? 12. Is it Fully Livable? Luke’s hard labor certainly paid off and he was nearing completion. The house even had electricity! But what about the plumbing you ask… Every house needs running water and a bathroom. That, unfortunately, was a bit more than the 13-year-old could handle. Luke Thill couldn’t wait to spend a night in his tiny house and check if it was actually habitable, even before it was officialy finished. 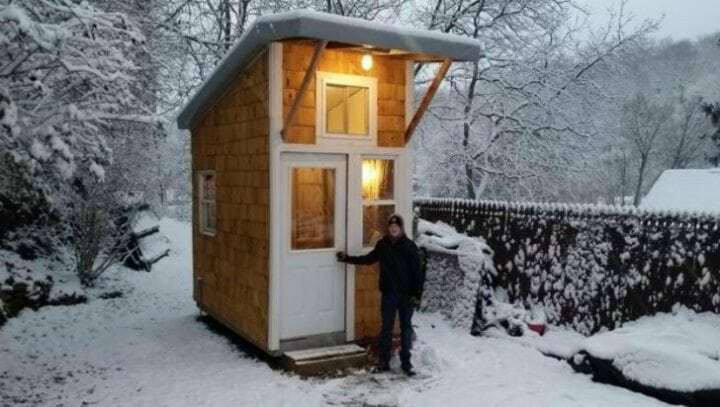 So, in the height of winter, with temperatures well below freezing and everything outside covered in snow, the hard working boy decided to spend the night inside his tiny home. Though Luke worked long and hard on providing his tiny house with proper insulation, it still wasn’t certain that the house would be warm enough in such low temperatures. After sleeping in his new bed for the first time, Luke happily announced that the upstairs loft got so warm during the night, he had to open the window to let the cool air in. 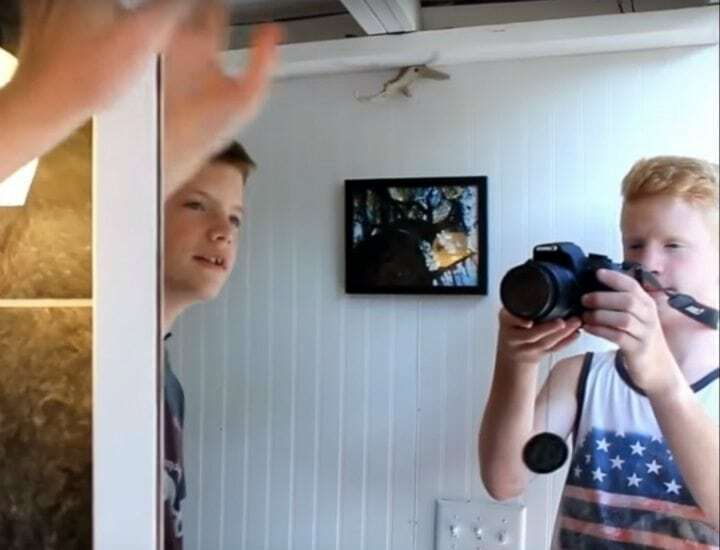 Once the house was completed Luke made a video tour and uploaded it to his YouTube channel. The video quickly went viral and has almost 7.5 million views! Wow. 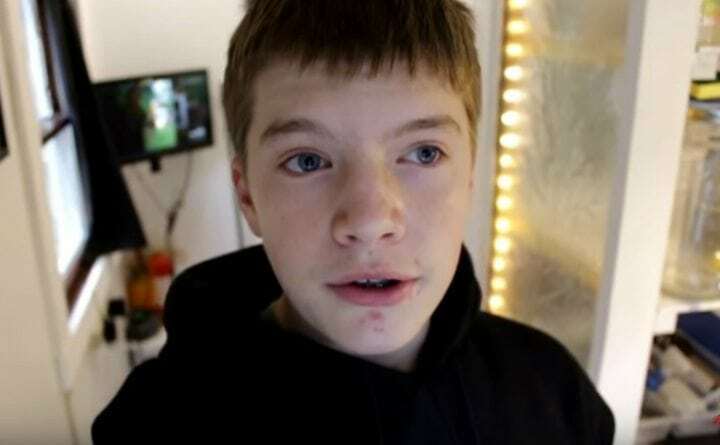 At the moment his channel has over 16,000 subscribers who tune in to his videos. Luke’s tour video has received hundreds of comments. Almost all overwhelmingly positive. Many commenters voiced their support, saying that Luke has helped inspire them to be more active and take on a project. Others shared their own experiences about what they were doing when they were Luke’s age. Keep on reading for an inside look at Luke’s tiny house extraordinaire. Ok, so you’re probably thinking the house looks decent from the outside but asking what could possibly be inside and is it livable. The answer is yes! Prepare to be impressed. The tiny home includes a kitchen, living area, dining area and a separate bedroom. Well, technically the living and dining area are a two in one setup, but there is a fold-down table which distinguishes each purpose. The bedroom is located in the upstairs loft separated from the rest of the house, allowing for some privacy. When it was all said and done the tiny house measured a full 89 square feet. The kitchen is equipped with a small fridge, an electric stove top, and bottled water. Luke even laid floor linoleum on the walls to give it a tiled look. The living room, though it is small, is decked out with a couch and a TV. Sounds like every teenager’s dream. Luke’s parents deemed the tiny house acceptable as well. They even allow him to sleep in it a couple times a week. While he does now have his own home, he is only 13. So he doesn’t plan on moving out just yet. And there’s the whole bathroom issue… Without plumbing, you really can’t live there permanently. But what happened next really shocked Luke. Luke, still only 13 years old at the time, made the front page! 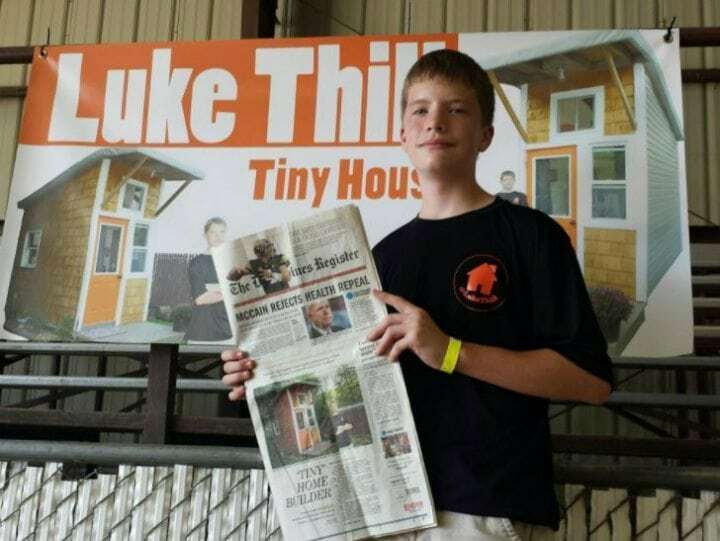 Both the Des Moines Register and the Telegraph Herald wrote up articles about Luke and the amazing tiny house he built and headlined him in their newspapers. Word of the completed tiny house spread across the United States and even caught the eye of ABC’s show Good Morning America. Stunned, people from the show went out to Iowa to get a private tour of Luke’s tiny kingdom. When asked why he decided to build the tiny house, apart from summer boredom, Luke Thill said something very un-teenager-like. 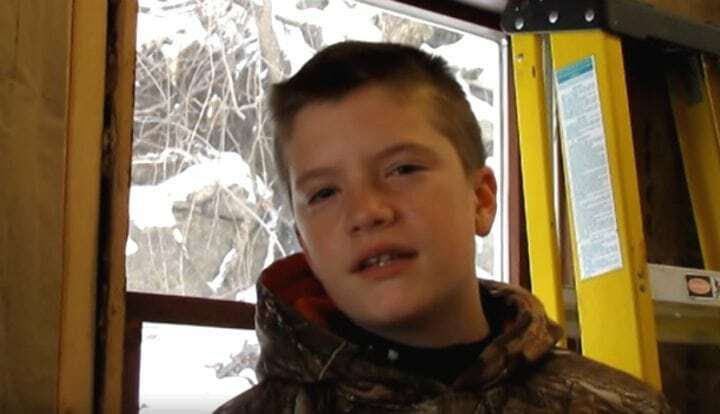 He stated that he “wanted to have a house without a huge mortgage.” We don’t think those words have ever been uttered by a 13-year-old. 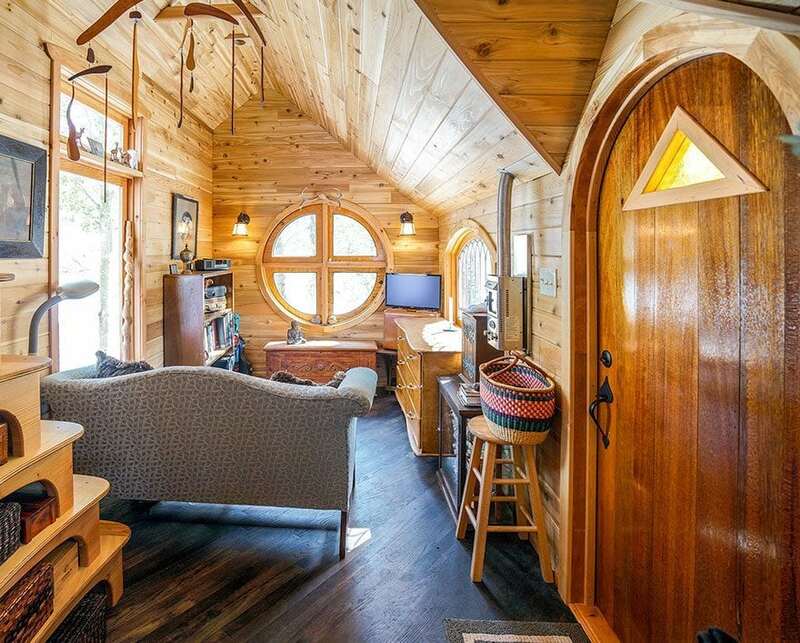 Around 75% of the tiny home was constructed from reclaimed materials. So not only is the home super cheap, but it’s environmentally friendly! Maybe if we all lived more simply and in smaller houses, we would have more money, less stress and just live happier lives in general. Back in Dubuque, Iowa, summer can get pretty hot and humid. Most people would address this issue by installing a store-bought air conditioning unit in their home, but not the resourceful Luke Thill! Morover, he was only able to fit his tiny house with a 15-amp electrical system, which isn’t enough power for an everyday A/C. Luke’s ingenius solution was so simple, literally anyone could do it. 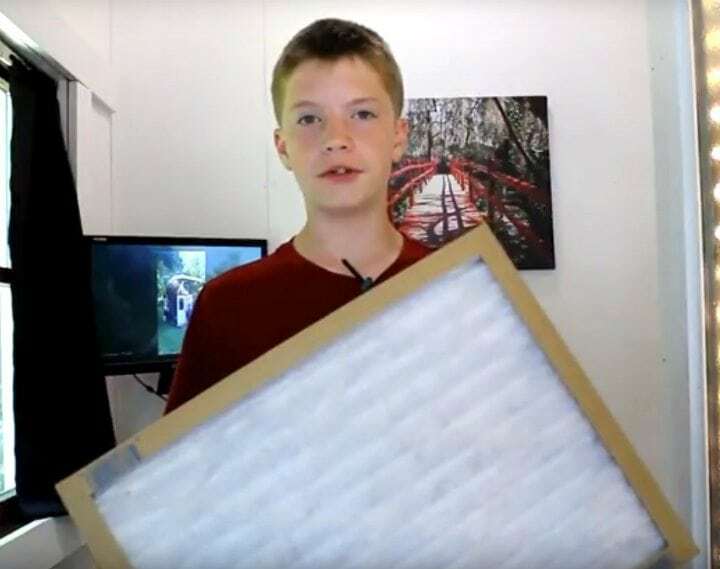 He bought cheap, $2 furnace filters, sprayed them with water and placed them next to a fan or in a window. The air then goes through the damp filters, creating a makeshift exaporative cooler which cools the air using the evaporation of water. Pretty clever, huh? Being the savvy, inventive entrepreneur that he is, Luke Thill decided to branch out into the realm of retail. 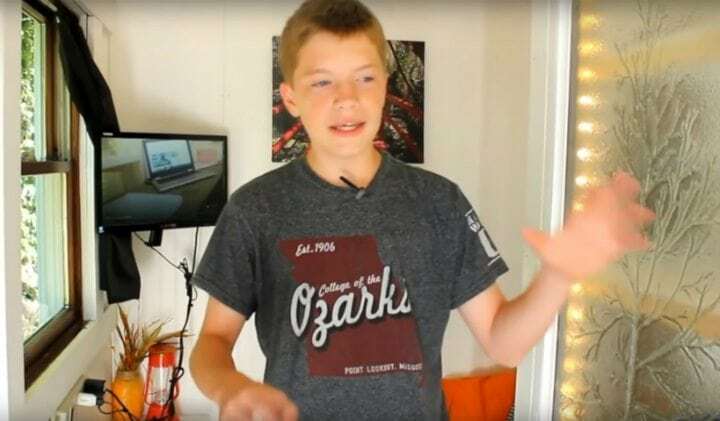 With thousands of fans and supporters rooting for him and following his tiny house adventures, Luke decided to release his own line of merchandise, with sweatshirts and T-shirts he designed himself. The original idea behind the merch was to put Luke’s name out there, as well as show support for the Tiny House Movement. However, it’s probably not a bad way to get more funds for Luke’s upcoming projects, either! What more could he be up to? One of the disadvantages of owning a large, spacious house is the amount of time it takes to clean it. For that reason, the Tiny House Movement is perfect for people who hate cleaning–there’s so little space, cleaning is a breeze. Even though Luke makes sure to clean his house at least four times a week to keep it in top shape, it doesn’t take up much of his time. 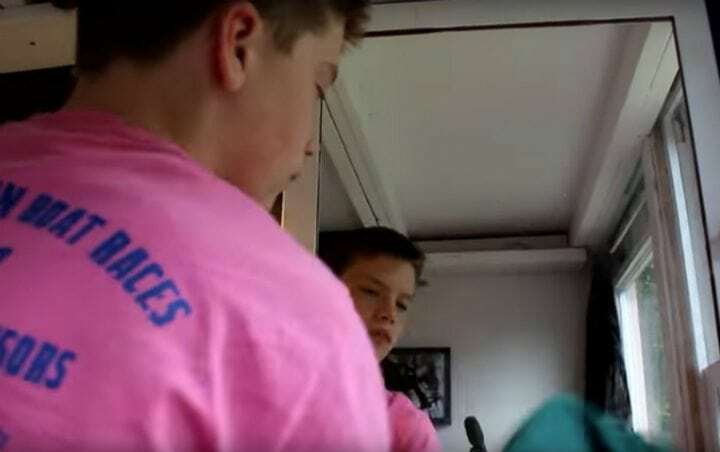 In fact, in one of his videos, Luke admitted that cleaning the entire house takes him around 15 minutes tops. Sounds like a dream! Having a miniature home doesn’t mean you can’t have people come over for dinner. Though Luke admitted cooking in his tiny home proves to be a little tricky as the place fills up with steam pretty fast, he doesn’t let it stop him from having dinner parties. One of Luke’s favorite dishes, “camper stew burritos,” was invented by his dad while camping. Luke has no problem whipping up the delicious dish for his parents, brother, and sister in his tiny house using a hot plate, which is something most kids his age don’t even do in their regular sized homes. Pretty impressive, Luke! 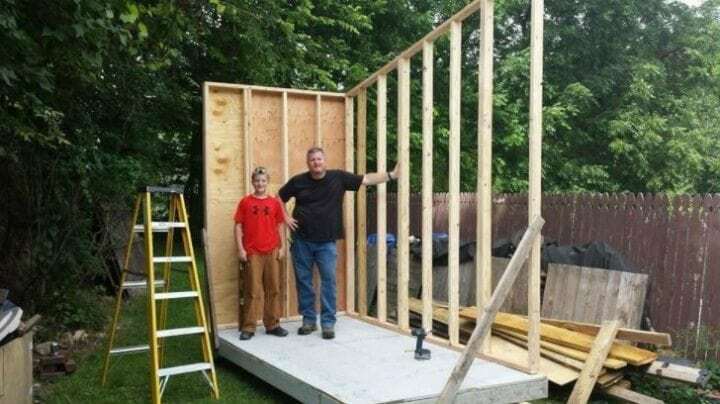 Inspired by his younger brother, older brother Cole has also taken on an impressive DIY project. A teardrop camper, which is a lot like just a tinier tiny house on wheels. Between the two, the brothers are set for home and travel. Cole also documented the building of his camper on YouTube and used recycled materials. And just the same as Luke, Cole was on a budget and had to work to get the project done. That is one skilled and creative family. Obviously, being a first time builder means not all things turn out perfectly. Luke admits that he made some errors building his tiny house, including the infamous counter top spill, but that’s not all. Some things, he has said, he would have done differently. 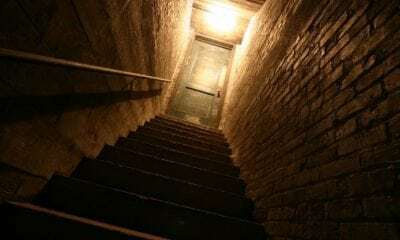 When asked by fans about mistakes he made while building the house, Luke admitted the light fixture he used in the loft was way too big, causing people to bump their heads on it. Another thing Luke regrets is the paneling, which he confessed to have done too quickly, resulting in scuffs and scrapes. Having such a talented group of builders around the house must be pretty inspiring. So, the matriarch of the Thill family decided to dive into the world of DIY with a project of her own. 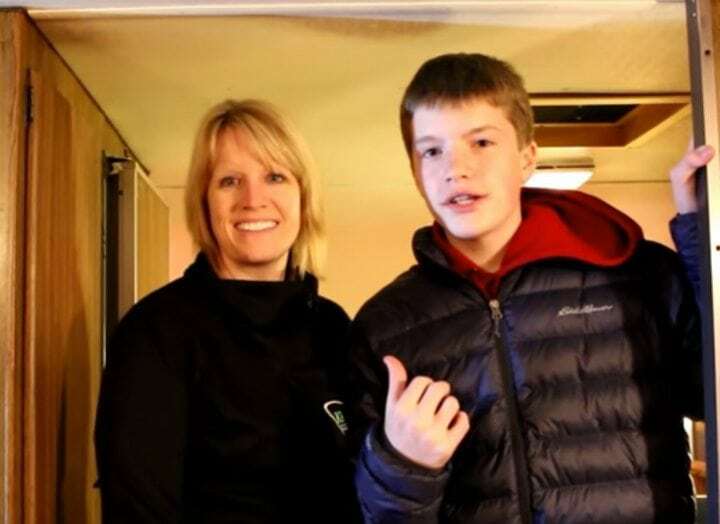 Why not build on (pun intended) the success of her son’s tiny house? Luke’s mother isn’t as much into building as her two sons are. For her project, she purchased a 1972 Forester Kayot camper–already built, but in definite need of some TLC. Her now-famous son plans to film her progress as she makes new curtains, tiling and some more updates to her old camper. This family’s turning into a DIY empire! Luke stated that the tiny house he built was really a practice tiny house. 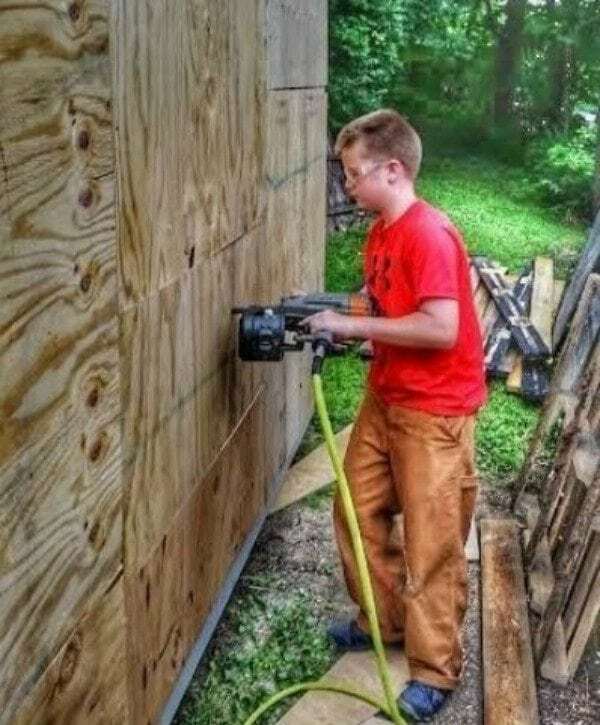 He will use all the skills he learned from the process of making the first house to help him build a larger and more efficient tiny house in the future. Luke plans to build that house within the next few years and plans to live in that one full time. He also plans on selling his current tiny home to help finance the building of his next permanent tiny house. 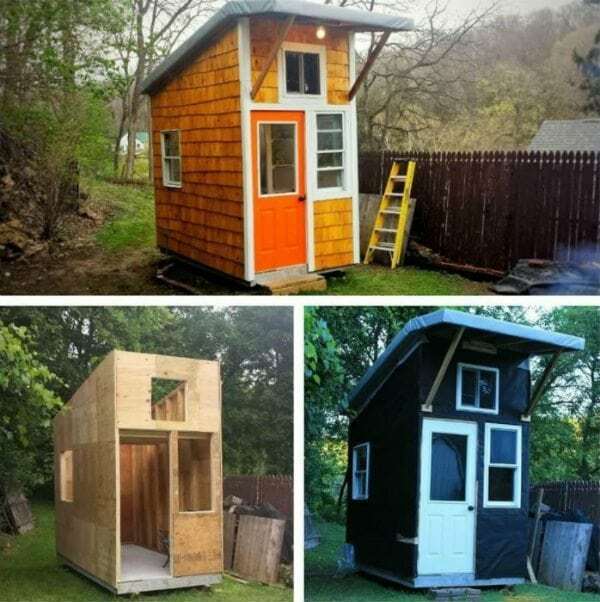 He stated that he will be documenting the building of his next tiny house on YouTube just like the first. In the annual “Movers, Shakers & Newsmakers” event in his town of Dubuque, Iowa, Luke Thill was chosen as #10 of the year’s most fascinating people. 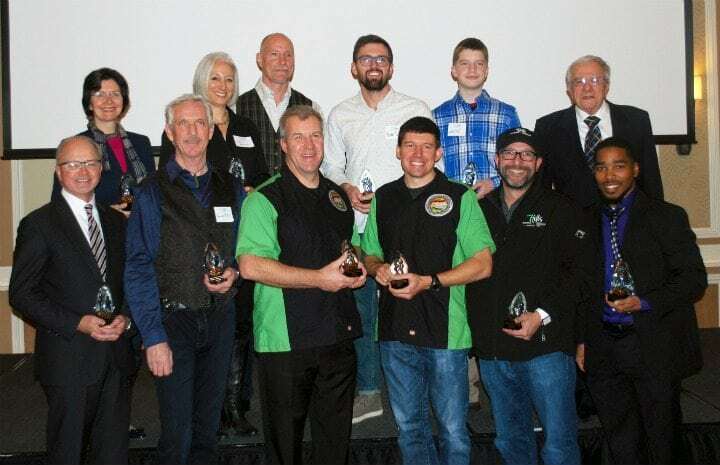 The tiny house builder was recognized for his achievements, as well as all the media attention he received. Officialy recognized as being ‘the talk of the town,’ Luke got to attend a fancy dinner party, and received a swanky award. He even said the meal was so fancy, it was unlike anything he ever had before. Imagine recieving such an honor at 14 years old! 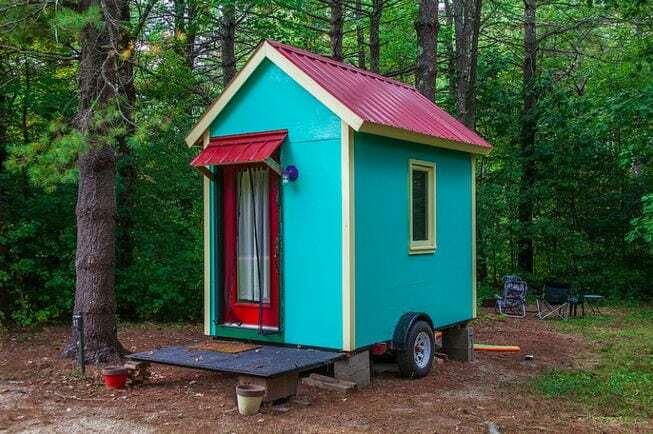 Luke Thill’s tiny house project has definitely inspired a lot of people to be more creative and committed in their lives. 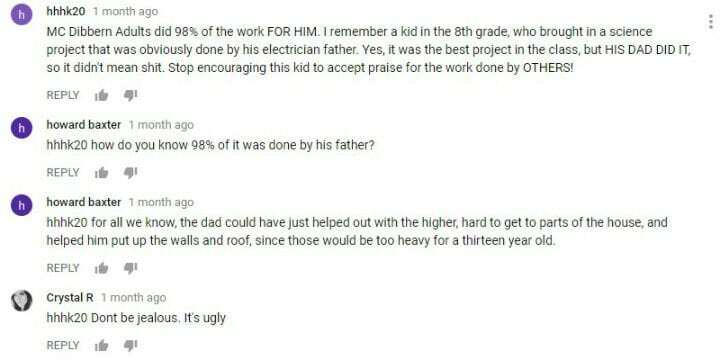 After all, if a 13-year-old boy could come up with such a remarkably impressive project, why couldn’t others do the same? Out of the 18,000 subscribers on Luke’s YouTube channel, many make sure to leave positive comments to support the young boy. One commenter, named Kate R., went as far as calling Luke ‘superb husband material.’ If that’s not a huge compliment coming from a stranger, then what is? 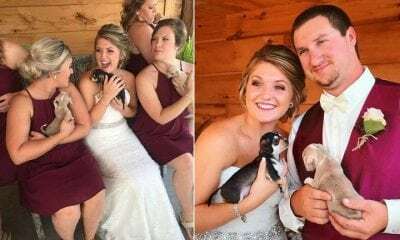 After Luke got so much publicity and social media attention, it was only a matter of time before the negative comments arrived. 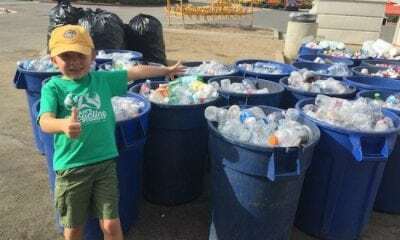 In a sea of compliments and praise, one commenter tried to minimize Luke’s efforts by saying his hard work was all done by the adults around him. 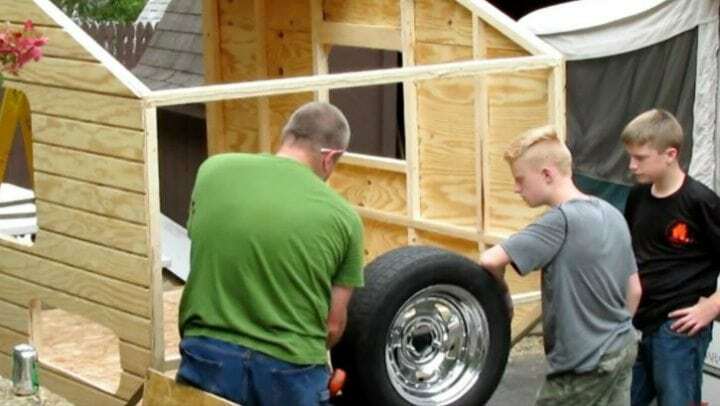 The tiny builder’s fans stood up for him, telling the negative commenter not to be jealous and that the fact he got adults to help doesn’t mean he didn’t build the tiny house on his own. He definitely has his community’s support! 31. A New Business Venture? Among the many positive comments Luke Thill got on his YouTube channel came a comment from a person with an intriguing idea. Since Luke had already branched out into the realm of retail, why not sell things closer to home? Since affordable housing is indeed a worldwide problem, this commenter suggested that Luke start selling tiny houses much like the one he built for himself to people in need of a place to live. Not such a bad idea if you ask us! 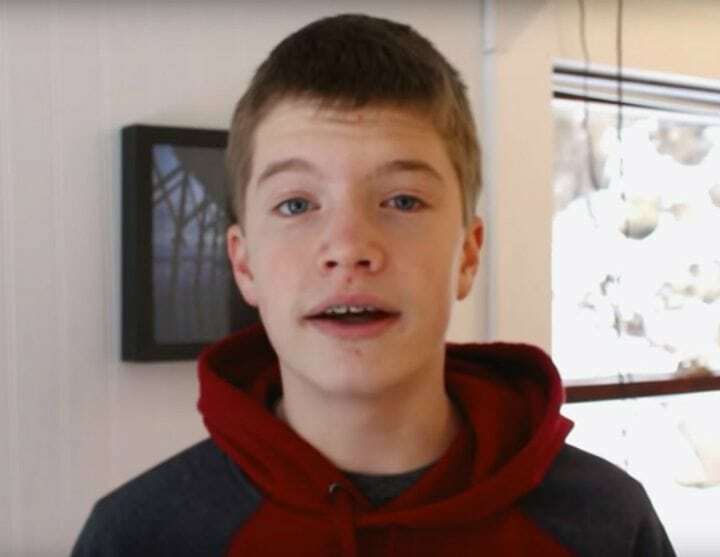 The fact that Luke Thill managed to put together such a project on his own is impressive enough, but his young age makes it all the more admirable. His many fans, both young and old, were definitely inspired by his determination and skill. 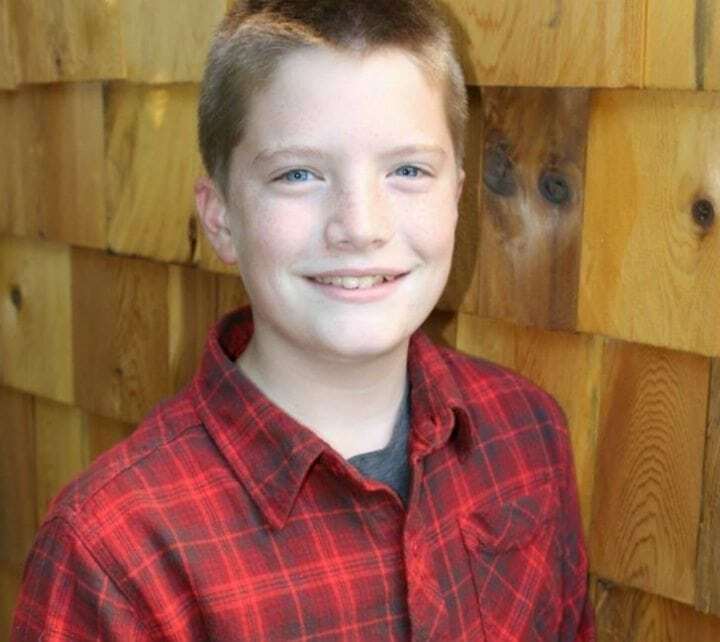 One fan, a 13-year-old by the name of Jacob Dille, was so inspired by Luke’s jaw-dropping story that he decided to try his own hand at building a tiny house of his own. Maybe he’ll be the next YouTube sensation! 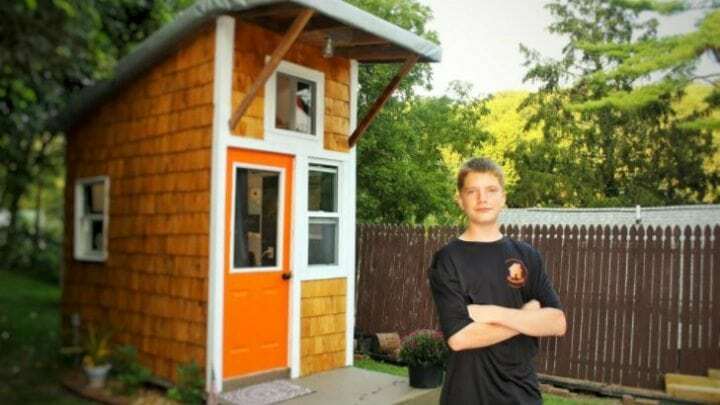 Like Luke Thill, people all over the world find inspiration in the Tiny House Movement. The movement advocates simple living in small houses, much like Luke’s. Though there’s no official definition or measurements as to what constitutes as a tiny house, most structures meant for human habitation under 500 square feet usually fit the bill. The average American house grew in size over the decades, from an average 1,780 square feet in 1978 to an average 2,662 square feet in 2013. 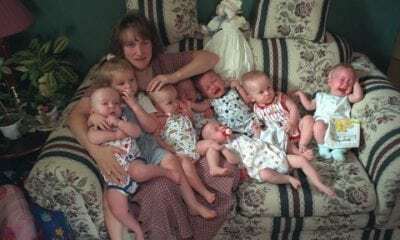 This occured despite the decreasing average size of the American family. The Tiny House Movement was started by people who object to living in such grand and costly structures. Read on to find out more about them. 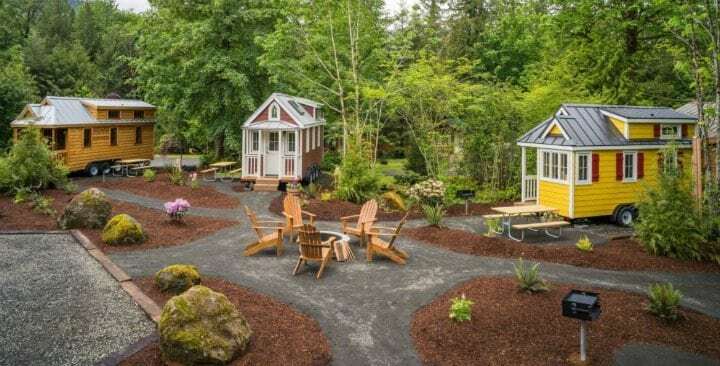 Before Susanka, several other authors encouraged living in simpler, smaller homes; Author and green building advocate Lloyd Khan released his book, Shelter, in 1973, and author Lester Walker released a now canonized book entitled Tiny Houses in 1987. Henry David Thoreau’s classic Walden is also considered an inspiration for the movement. With housing prices increasing all over the world, moving to a simpler, more efficient living becomes attractive to a growing number of people. 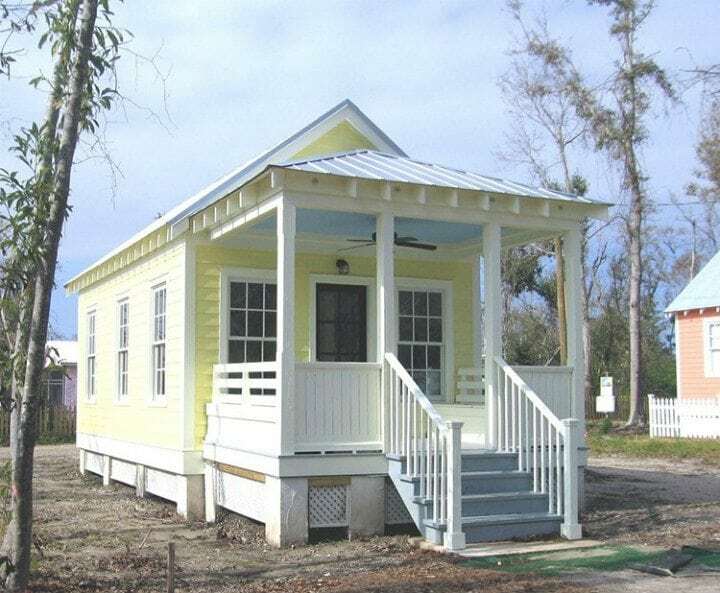 2005’s Hurricane Katrina also had an effect, after designer Marianne Cusato created 308 square feet residential shelters named ‘Katrina Cottages,’ generating worldwide interest. The 2007-08 financial crisis also led a growing number of people to search for more affordable and eco-friendly living solutions. Besides building tiny homes from scratch, another option becoming increasingly popular is to convert existing garages into small homes for people who need them. Living in a tiny house isn’t as easy as it seems. Though people who live in small homes save money and can pride themselves in greener living, there are many drawbacks they need to cope with, such as the obvious lack of living and storage space. 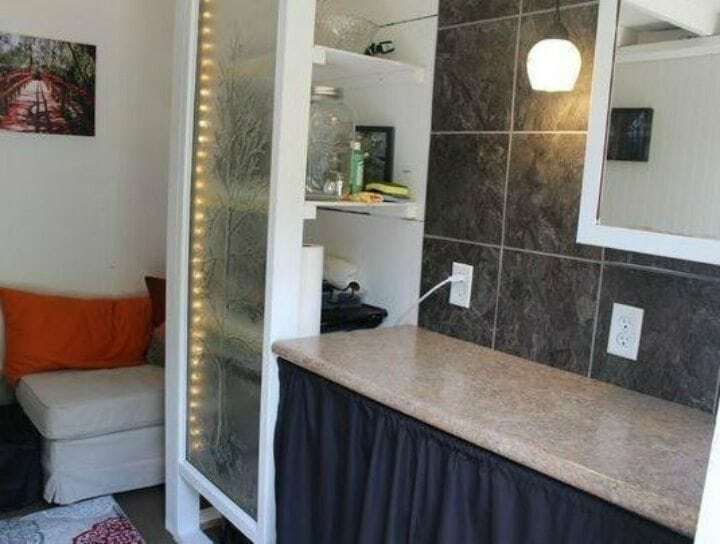 Besides the lack of space to spread their legs in, tiny home owners say it’s hard to find a building spots for these unusual structures, since they’re not always built to code. With the lack of plumbing infrastructure in his own tiny home, Luke Thill can definitely relate. In a video entitled The Best Year of My Life uploaded to his YouTube channel on new year’s eve, Luke shared his thoughts about the past year with his many fans. In the video, he discussed the many things he accomplished in 2017 from a surprisingly mature perspective. Among the things Luke mentioned were his newly aquired skills of building and using tools, the ability to work through failure, and the confidence he gained from the way his tiny house adventure unfolded. Who knew watching a random DIY video on YouTube could lead to so many accomplishments? If you enjoy reading about Luke’s journey please feel free to SHARE this story. Now go out and build your own tiny house!